by Don Byres VP of Engineering, CPE Systems Inc. The most common piece of equipment in the world is the pump. We see them everywhere and in particular we seem them in every brewery. Most breweries, even the smallest nano will have several pumps. A HLT pump, a brew house pump, a cellar pump, and a CIP pump. Sometimes of course one pump will serve two or more duties. So what exactly is a pump anyway? According to Webster’s dictionary a pump is: a device that raises, transfers, delivers, or compresses fluids or that attenuates gases especially by suction or pressure or both. For this paper however we are going to cover only the pumps used for liquids. 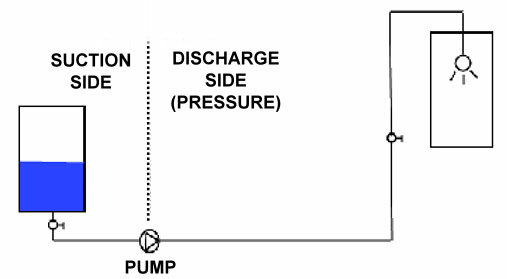 A pump system always has a suction side and a discharge side (I know this sounds obvious but bare with me) and a typical system would look something like this.